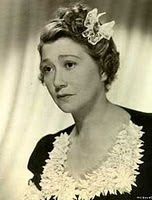 Fay Bainter is probably best known for being the first person to be nominated for both Best Actress (White Banners) and Best Supporting Actress (Jezebel) in the same year, 1938, eventually winning for her supporting role as Aunt Belle in Jezebel. 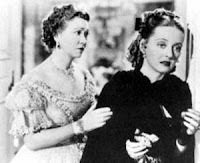 But there was another element to her career that is worthy of attention; in over half of her 39 films she portrayed a mother or wife, imbuing these characters with a rarely seen depth of understanding and caring. 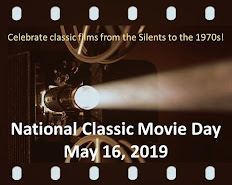 She had been playing ingénues in the theater since the age of five and by the time she originated the role of Fran Dodsworth in the Broadway version of Sinclair Lewis's novel, she was 40 years old. 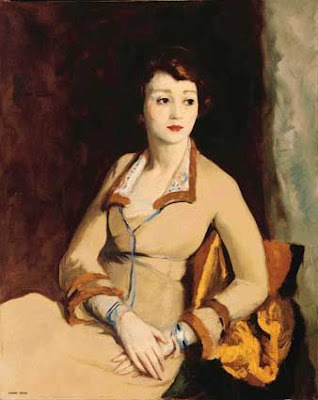 When she headed for Hollywood in 1934 she realized that she was now more suited for strong character roles; ironically, however, the role of Fran in the film version of Dodsworth went to Ruth Chatterton. Her first film was This Side of Heaven in 1934 opposite Lionel Barrymore. This was not an auspicious beginning to her career, as she did not like her performance in the film or working in Hollywood. But this would all change in 1937 when she appeared as Katharine Hepburn's spinster sister in the film adaptation of James M. Barrie's Quality Street. That same year she essayed another role as a mother and wife in Make Way for Tomorrow, Leo McCarey's bold attempt to honestly portray the plight of an older couple who are left with nothing after they lose their house and employment and must seek the help of their children. Bainter played the daughter-in-law of Beulah Bondi, and has to face the many challenges that arise when Bondi moves in with her family. 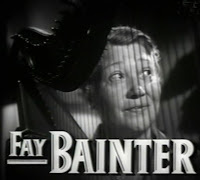 She went on to play the role of Hannah Parmalee in White Banners the film that brought her the Best Actress nomination. It is a story of a woman who gave up her son at childbirth and now wishes to see what kind of life he leads with the family that adopted him. 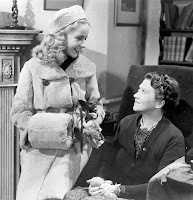 One of her best performances before she signed with MGM was in Daughters Courageous, a quasi-sequel to the Warner Bros. soap opera hit Four Daughters. In this film she plays a single mother of four young women who have been abandoned by their free-spirited father, Claude Raines, and must face the ramifications of his unexpected return to the family fold. During her tenure at MGM she gave memorable performances as Mickey Rooney's mother in two films, Young Tom Edison and The Human Comedy. She was Van Heflin's mother in Presenting Lily Mars and William Holden's mother in Our Town. Her favorite role, however,was in the film Maryland where she portrayed the overprotective mother of John Payne, fearing that her son would die in a horse related accident as his father had, and doing everything in her power to keep him away from horses. In the rarely seen The War Against Mrs. Hadley, she plays a mother, but in this case she does not represent the loving and compassionate matriarch of her previous films. Instead, she is a Washington socialite who becomes annoyed when her birthday celebration is interrupted by the Japanese attack on Pearl Harbor and initially is clueless as to the affects of the war on her family. Thoughtful and wonderfully written! Thank you, saz, for your insight! Thamks for the compliment. I believe TCM is running The War Against Mrs. Hadley on Feb 17th. I'd like to see White Banners, a film from my childhood (on TV, of course). Saz, this was such a lovely article. From the moment I saw the sweet portrait, I knew you were sharing Fay Bainter as a loving lady, wife, and mother character. It provides such a stark contrast to the mean mothers in Lady Eve's poll this week! 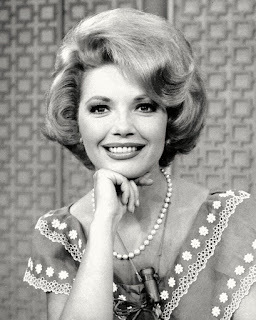 I remember Fay best in "The Children's Hour" and "Our Town." Your post reminded me that there are so many movies that I truly haven't seen (either in a long while or at all). You make me want to catch up on some of them again. Beautifully written, Saz! Lovely tribute to a lovely lady, Saz! She starred in some excellent films, my faves being DAUGHTERS COURAGEOUS, THE HUMAN COMEDY, and THE CHILDREN'S HOUR. I've never seen WHITE BANNERS...sounds like a perfect picture for TCM's "31 Days of Oscar."